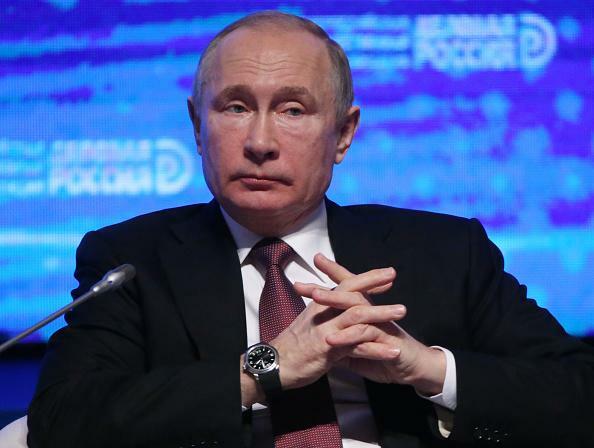 Russian President Vladimir Putin announced the intent of his country to develop new hypersonic missiles after the fallout of the nuclear agreement with the United States. Russia withdrew from the Intermediate-Range Nuclear Forces (INF) Treaty following Trump's announcement of the United States leaving the agreement. Washington cited Russia as a long-time violator of the treaty while Moscow countered that it was the United States that breached the agreement. Additionally, Putin made it clear that his country is looking into producing new hypersonic missiles that can be "invincible." Traveling five times faster than the speed of sound, the missiles will be the land-based counterpart of Russia's existing sea-launched cruise missile, the Kalibir. Many see the ongoing spat between the United States and Russia over the INF treaty as a possible trigger to a more dangerous arms race. After the withdrawal, Trump promised that the United States “will move forward with developing our own military response options." He also explained that the decision to suspend participation in the arms pact is in response to Russia's threat. Moscow denied that it breached the treaty, but it did confirm that it will be going forward with developing a new weapons system. Even before the fallout, Russia has already been testing weapons including its nuclear-powered missile, the Burevestnik. Putin previously explained that the new missile systems have "unlimited range." He also said that “during its flight, the nuclear-powered engine reached its design capacity and provided the necessary propulsion.” To date, countries have never tried deploying a cruise missile with an onboard nuclear reactor. Despite Putin's threat of developing new weapons, some experts are reluctant to believe his words. Not to mention Russia is on a budget that the Kremlin's defense spending may be limited. “We must not and will not let ourselves be drawn into an expensive arms race,” Putin reportedly told Defense Minister Sergei K. Shoigu.